Health benefits of PECAN HALVES include reduced risk of high cholesterol levels, hypertension, diabetes, gallstone disease and cancer. It has antioxidant properties and helps in weight management. It also protects vital organs from toxic effects of Cyclophosphamide. Being in the class of fruits pecans are known to have nutrients which are required by the body for good health. 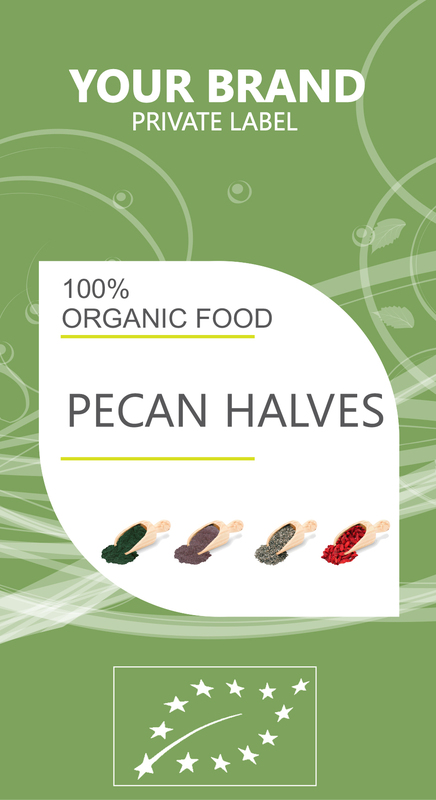 Pecans contain protein, energy, fiber, amino acids, fats, starch and sugars. Other nutrients contained in this fruit include thiamin, riboflavin, niacin, pantothenic acid, Beta carotene, folate, folic acid and vitamin A, vitamin B6, vitamin C, vitmain E, and vitamin K. Amongst minerals it is rich in calcium, iron, magnesium, phosphorus, potassium, zinc, copper, manganese and selenium. Health benefits of pecans include reduced risk of heart related ailments. . Nuts such as pecan have protein, vitamin E and oxidant properties which help in protecting the heart and reducing risk of hypertension.